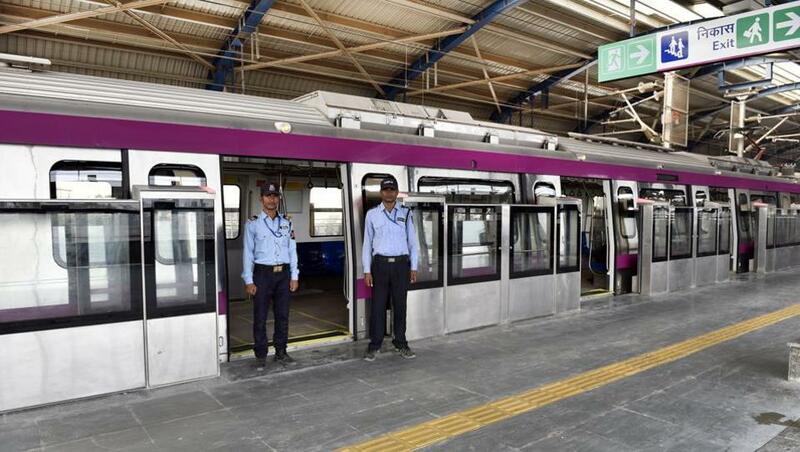 Delhi Metro’s new Magenta Line will be inaugurated today by Prime Minister Narendra Modi. This new line will connect the south Delhi’s Kalkaji and Noida’s Botanical Garden. It’s a 12.6-km stretch. PM Modi along with Uttar Pradesh Chief Minister Yogi Adityanath will flag off the new metro from Noida and then take a ride to the Okhla Bird Sanctuary station. It is quite surprising that Delhi’s Chief Minister Arvind Kejriwal is not being invited. As per a press statement, Delhi’s Magenta Line is the third metro line to be inaugurated by PM Modi in 2017. He previously launched Kochi Metro in June and Hyderabad Metro in November. This 12.64-km long Magenta Line is interspersed by nine stations. It is also new generation Metro train will run on Communication Based Train Control (CBTC) signalling technology. This means it can operate without drivers. The train will get new and upgraded features this time. New trains are also energy-efficient and would save about 20 per cent energy compared to the existing coaches. There are 10 trains that would operate on this new line. In the initial phase, the trains will operate with a frequency of five minutes and 14 seconds on this section. In fact, the Botanical Garden has been developed as the metro’s first interchange station outside Delhi.